Yup folks, I’m heading down to Singapore this weekend for AFA X! I’ll be bringing down my macbook along with my camera and hope to see the rest of you anime fans as well! 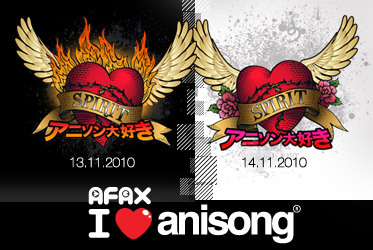 For more information about AFA X you can look it up here at their about page. A little background on why I am going…..its primarily to attend the I love Anisong portion! The awesomeness that is JAM Project!!! and JAM project would be performing there this year! Unless you’ve been only watching emo animes, JAM project (which stands for “Japan Animationsong Makers”) who primarily composed and perform the themes for hot blooded animes! If you’ve watched any cool super robot animes, chances are their opening and ending theme were by them. As you can see, I’m a fan of their music! So yeah, I’m willing to blow heaps of cash to go down there and listen to them rock! 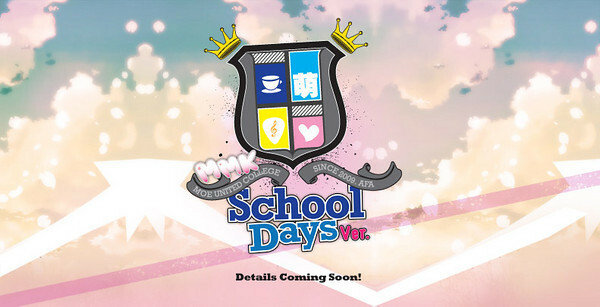 There will also be other events such as School days cafe staffed by MANY MANY MANY cute girls!! As reported by DannyChoo. Me am pervert, sue me! And many other events to enjoy. I’ll report about those later!!!!! This entry was posted in anime, event, music, singapore. Bookmark the permalink. ← Girls with cameras: A pictorial book. I would’ve liked to go to see May’n and Scandal perform, unforunately a ticket to Singapore is too much for me right now. Am Back! I’ll be uploading the photos either tonight or tomorrow morning! stay tuned! Well actually I only went for the concert on the 13th and passed on the 14th. Tell me about it. >_< money couldn't be right tighter and here I am blowing away money…..
AFA cosplay contest 14thNov remember? Yeah I remember! Sorry about leaving so abruptly but I really needed to check out something then. So we won the cosplay contest?